Ashley joined StreetSquash in 2017. She graduated from the University at Albany in 2017 with a BS in Biology, BA in Psychology, and a Minor in Neuroscience. 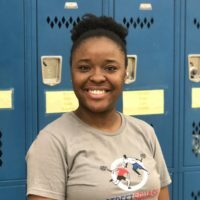 Ashley served as a part-time staff member for 9th and 10th grade before assuming her current role in 2018.